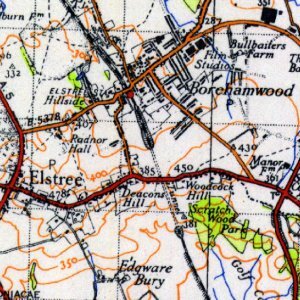 Seven Sisters’s name is derived from seven elms which were planted in a circle with a walnut tree at their centre on an area of common land known as Page Green. 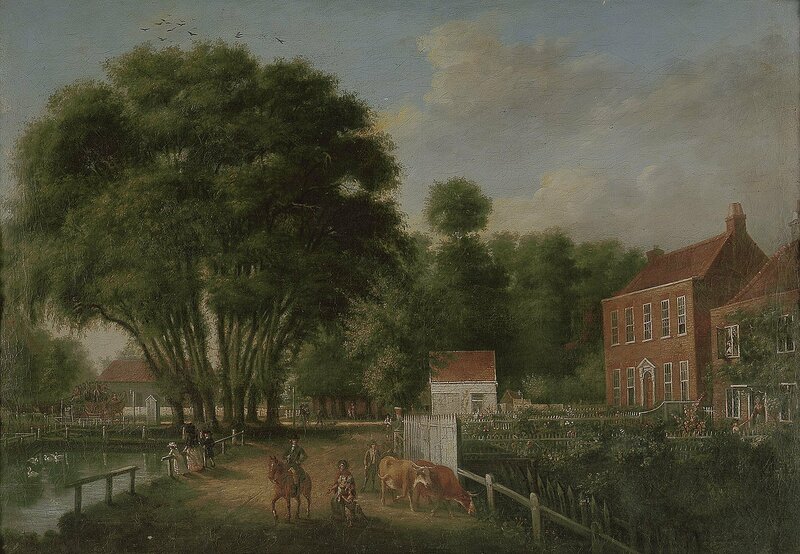 In his early seventeenth-century work, Brief Description of Tottenham, local vicar and historian William Bedwell singled out the Page Green walnut tree for particular mention. He wrote of it as a local ’arboreal wonder’ which ’flourished without growing bigger’. He described it as popularly associated with the burning of an unknown Protestant. There is also speculation that the tree was ancient, possibly going back as far as Roman times, perhaps standing in a sacred grove or pagan place of worship. The walnut vanished at some point, leaving the circle of elms. These were first recorded as the Seven Sisters in 1732. The location of the seven trees can be tracked through a series of maps from 1619 on. 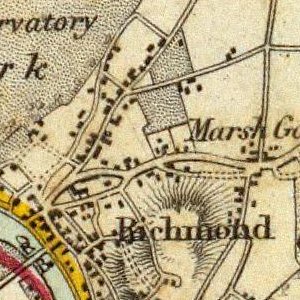 From 1619 they are shown in a position which today corresponds with the western tip of Page Green at the junction of Broad Lane and the High Road. 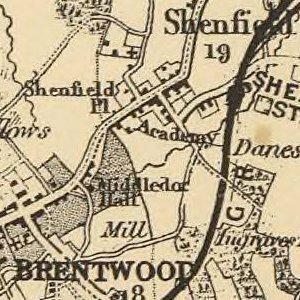 With urbanisation radically changing the area, the ’Seven Sisters’ had been replanted by 1876, still on Page Green, but further to the east. Contemporary maps show them remaining in this new location until 1955. The trees formed a well-known landmark. So much so that a new thoroughfare connecting Tottenham to Camden Town in 1840 was named Seven Sisters Road. In 1852, the originals were in a sorry state and new trees were planted by the seven daughters of a Mr J McRae. These elms lasted just 20 years, when a newspaper described "six venerable and withered trunks" (perhaps the stumps of the originals were still hanging around). A new circle was planted on 2 March 1886 when local siblings called Rosa, Alice, Amy, Edith, Julia, Georgina and Matilda Hibbert — the only family in Tottenham to contain seven sisters and no brothers — did the honours. Over the years, the sisters returned to view their handiwork. Matilda’s was the only one that wouldn’t take. According to a later interview, the sister "pointed to her withered tree and said, ’I’m the doomed one’". Alas, her premonition came true. Mathilda passed away in 1900. Her six siblings lived on, regrouping at the elms each year. Five trees had died by 1928 when three of the surviving Hibberts were recommissioned to "make good the deficiency". The six sisters continued their reunion until at least 1937, bringing the original commemorative brooches and spades used in 1886. One of these spades can still be seen at the Bruce Castle Museum in Tottenham. *L1491308014L*Further plantings took place in 1955, courtesy of sisters named Basten. Perhaps because elms had proven too fragile for the ground, this iteration opted for Italian polar, and the trees were planted in two clumps rather than a ring. The most recent ceremony drew on the digging skills of five local families, all blessed with seven sisters. This time hornbeams were chosen. The still-standing ring was installed at the centre of Page Green in 1996. You can view it today, although there’s no obvious plaque or information board recalling the centuries-old tradition. The current ring of hornbeam trees was planted in 1997 in a ceremony led by five families of seven sisters. Seven Sisters station was constructed by the Great Eastern Railway on its Stoke Newington & Edmonton Railway line and opened on 22 July 1872. 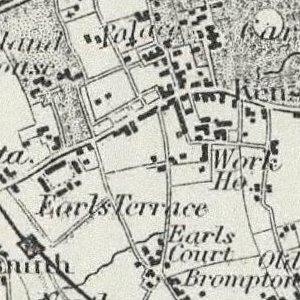 On 1 January 1878, the GER opened a branch line, the Palace Gates Line, from Seven Sisters station to Noel Park and later that year to Palace Gates (Wood Green) station. 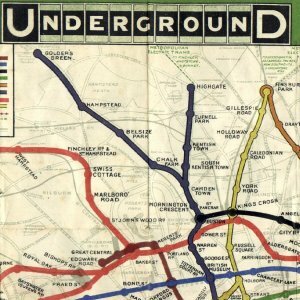 The first section of the Victoria line opened on 1 September 1968 serving Seven Sisters, although a shared entrance and interchange facilities with the surface station were not opened until December 1968. The original GER entrance to the station was situated in West Green Road at the north end of the surface station, but the new combined entrance was opened in Seven Sisters Road at the south end on the site of a former wood merchants yard, connecting to the west end of the Victoria line platforms. The original (1872) entrance was closed at that time. The section of Victoria line between Seven Sisters and Finsbury Park stations is the longest between adjacent stations in deep level tunnels on the London Underground network. 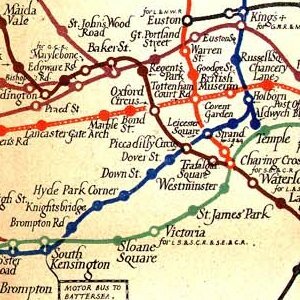 During the planning phase of the Victoria line, thought was given to converting Manor House into a Victoria line station and diverting the Piccadilly line in new tunnels directly from Finsbury Park to Turnpike Lane via Harringay Green Lanes, but the idea was abandoned because of the inconvenience this would cause, as well as the cost.